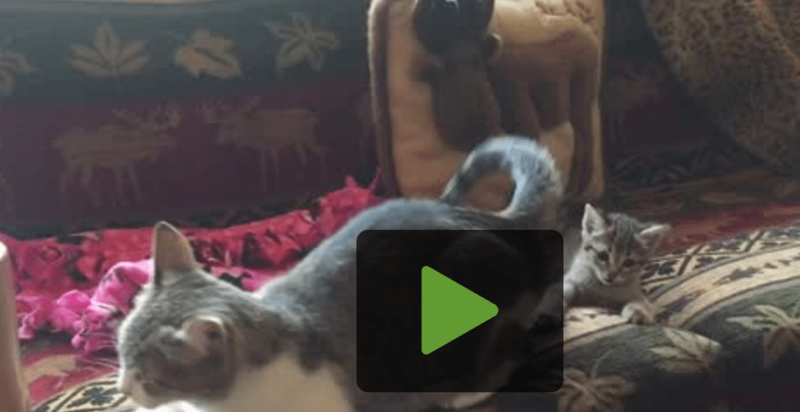 A patient mother cat puts up with her kitten’s fascination with her tail. A patient mother cat puts up with her kitten’s fascination with her tail. Every time she twitches it, her little one takes a swipe and misses, then tries again.